Tikka Masala (mild) Tikka Chance On Me! Tikka Masala is creamy spiced tomato dish with a hint of lemon. It’s said to be the nation’s favourite dish. Tikka means pieces. Serve with Curry On Bombay Potatoes, Basmati rice or Indian bread. Suitable for vegans, free from sugar, gluten, dairy, additives, preservatives, colouring, MSG, Nuts, yeast. As a bit of fun at Curry HQ we decided to give each of our kits a personality – what do you think? Let us know what attributes you would give to your favourite curry. Tikka Masala The cool kid, relaxed, funky and a go getter. 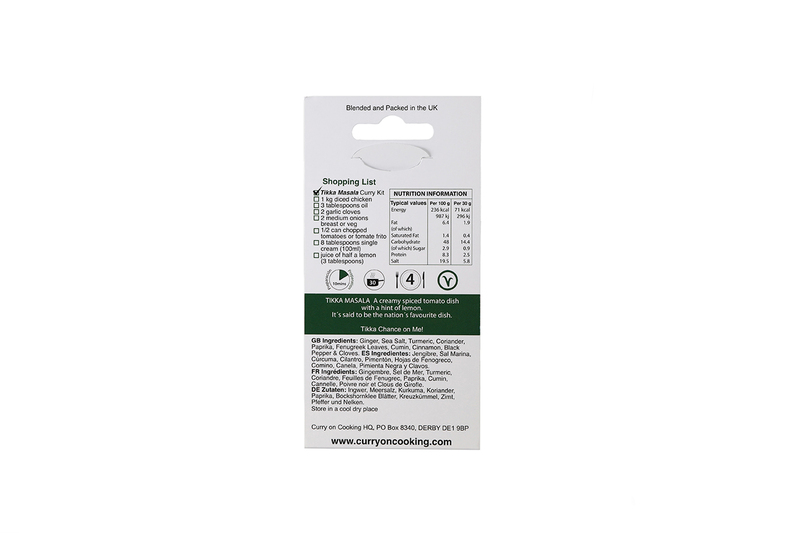 The recipes in the kits are designed as a guide. Feel free to make these dishes your own. If you fancy a bit more sauciness in your life add a splash of coconut milk or an extra tin of tomatoes. The kits are so versatile; rub into fish meat or fish before throwing on the BBQ, or in the oven. Go crazy and experiment! These sugar free kits are low in fat; for an even healthier option the cooking oil, can be replaced with spray oil. The cream in the Tikka Masala and Korma can be replaced with coconut milk, crème fraiche or yoghurt. Feel free to substitute the meat for other types of meat e.g. lamb/pork If using alternative meat adjust cooking times depending on the meat. Any vegetables or mixed vegetables can be used. Tofu and soya also work great with the kits. When cooking with fish it’s best to use a firm fleshed, robust fish such as monkfish or halibut which doesn’t fall apart in the pan too quickly. KEEP CALM as you have a range of options to reduce the heat of the dish. Add a dash of lemon or lime juice. The acid should help in reducing the heat. Vinegar also is a good addition. Spooning in more liquid can help. Dairy helps to temper the spices, stir in a couple of tablespoons of natural/Greek yoghurt, sour cream or coconut milk. Eating raita made out of natural or Greek yogurt helps to cool things down as does a sweet or salty lassi. Chuck in some extra chillies we prefer fresh but any kind works just as well. 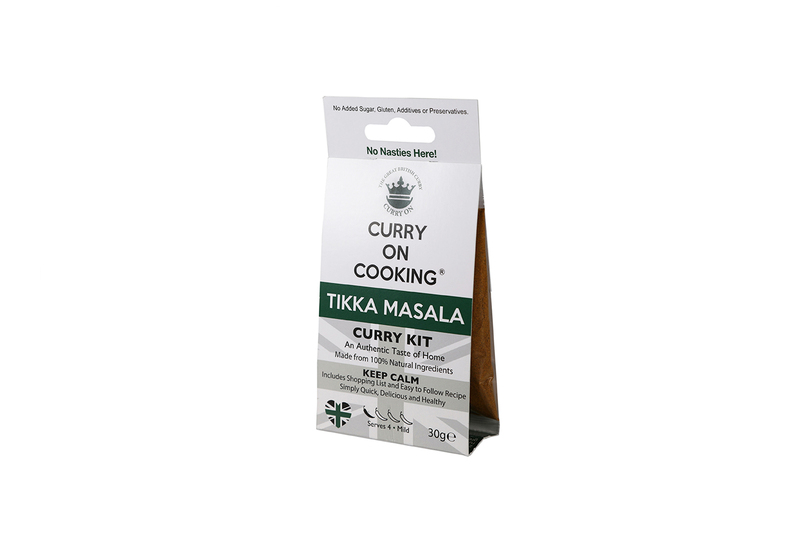 5 reviews for Tikka Masala (mild) Tikka Chance On Me! Absolutely scrummy! I followed Nilams tips and used coconut oil, and it was far, far superior to any other curry mix/paste/sauce I have ever made. Top marks to the team! The spices are gorgeous in this. I have had loads of compliments making this and yet it is so simple. Perfect with the bombay potatoes too. Bought kit from Chorlton market and it was absolutely delicious. I will definitely be purchasing again. Me and my housemate at uni have just used it now for tea and we are both dead happy with the turn out! Simple instructions to follow and it’s nice to know there’s no rubbish in it. Total price for the meal was low as well so can’t complain at all! I hope you will come back and try some of the other flavours. 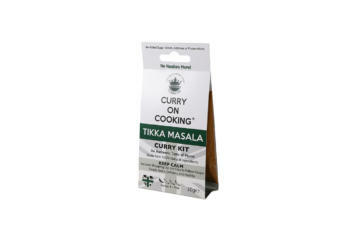 Pakora Spice Kit (mild/medium) Peckish? P..p..p…p Pick a Pakora! Sign up for our Curry Club newsletter. We promise not to spam you!